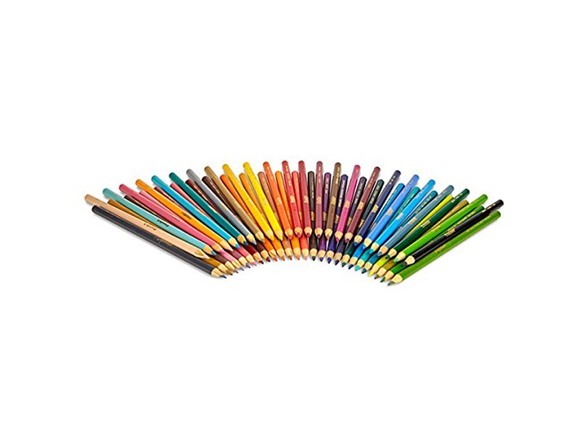 Discover the soothing nature of coloring with Crayola Colored Pencils. 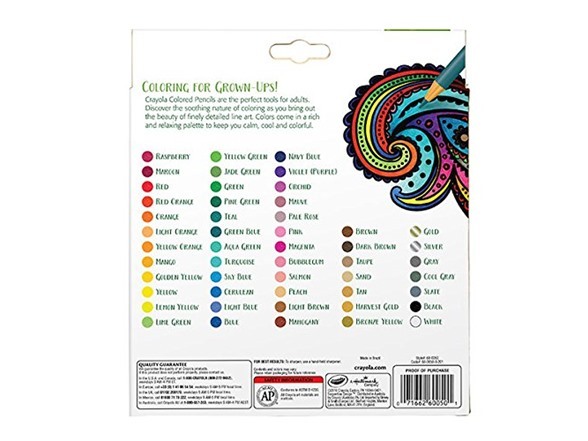 Ideal for bringing out the beauty in finely detailed line art, this set includes 50 different colors to add vibrant flourishes to coloring books or original art pieces. 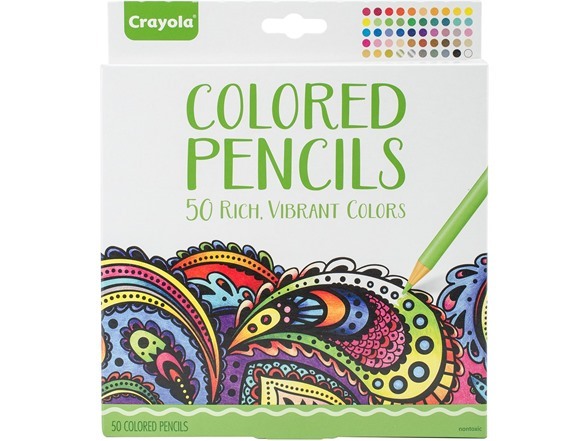 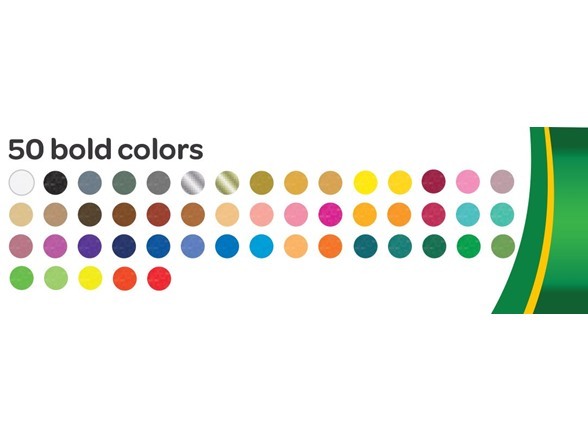 Offering long-lasting color with smooth laydown, Crayola Colored Pencils come pre-sharpened so you can start creating precise line work right out of the box.